LAREDO, TEXAS – U.S. Customs and Border Protection (CBP) Laredo Field Office, port management officials, flanked by Laredo, Nuevo Laredo elected officials today dedicated a rebuilt World Trade Bridge cargo facility following a devastating May 2017 weather event and announced future modernization efforts. CBP management, Laredo elected officials and a key international trade stakeholder prepare to cut the ribbon for the dedication of the rebuilt World Trade Bridge cargo facility. 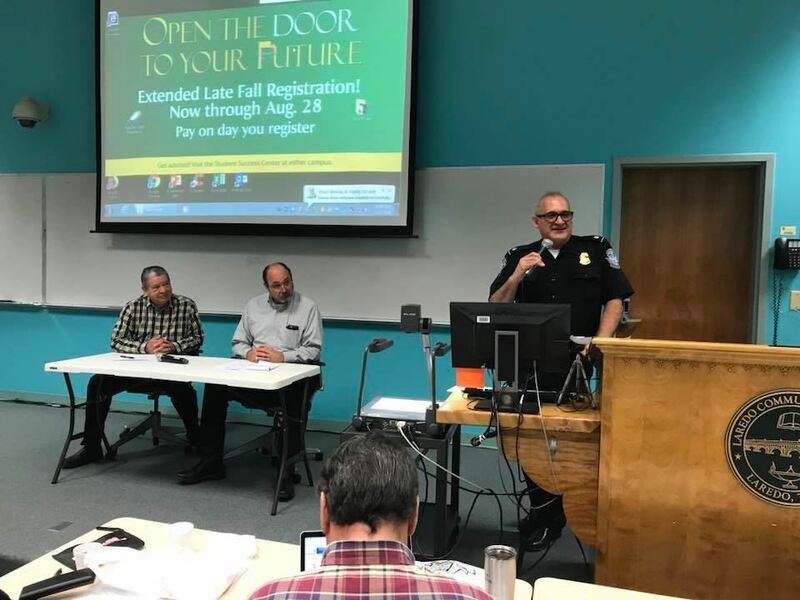 From left, Past-President, Chairman Enrique Gonzalez, Laredo Licensed U.S. Custom Brokers Association, Port Director Alberto Flores, U.S. Rep. Henry Cuellar, Director, Field Operations David P. Higgerson, Laredo Mayor Pete Saenz, Nuevo Laredo Presidente Municipal Enrique Rivas Cuellar. A microburst weather event in May 2017 inflicted serious flooding damage to the CBP processing facility at World Trade Bridge and also impacted Secretaría de Administración Tributaria (SAT) Mexico Customs facilities. CBP and SAT immediately implemented business resumption action plans and commercial traffic was temporarily rerouted to Colombia-Solidarity Bridge. Through a phased-in approach, lines of cargo were gradually restored at World Trade Bridge. Full cargo processing was restored at WTB in late August 2017. 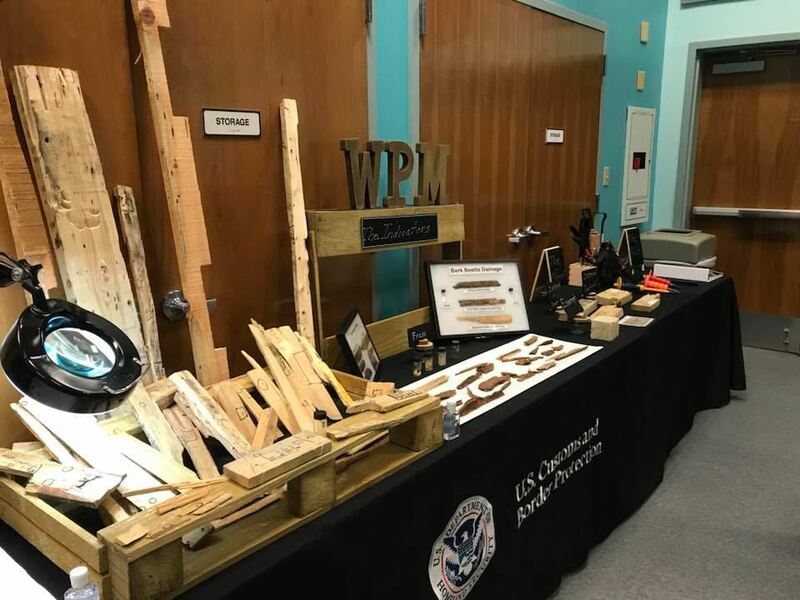 CBP kept the trade community apprised of developments through frequent business resumption updates. CBP operated out of a temporary modular facility starting in late July 2017 while repairs were made to the main cargo processing facility and operations there resumed in January 2018. During today’s facility rededication ceremony, DFO Higgerson in a video presentation shown at the event recounted the history of World Trade Bridge, illustrated the buildback efforts and concluded with a vision of the future, the WTB 2.0 modernization effort, which includes external FAST lanes, state-of-the-art multi-energy portal (MEP) non-intrusive imaging (NII) systems that feed into a common viewer platform housed within a tower-based Command Center that will track all trucks entering and exiting the federal inspection station. This modernization of World Trade Bridge, together with the buildback of the facility is part an ambitious effort to integrate the latest technologies to process commercial conveyances securely and expeditiously. The facilitation rededication ceremony also featured presentations by Port Director Alberto A. Flores, Laredo Mayor Pete Saenz, Nuevo Laredo Mayor Enrique Rivas Cuellar, U.S. Rep. Henry Cuellar and Past President-Chairman Enrique Gonzalez, Laredo Licensed U.S. Custom Brokers Association. At the conclusion of the ceremony, a ribbon cutting was held followed by a facility tour. 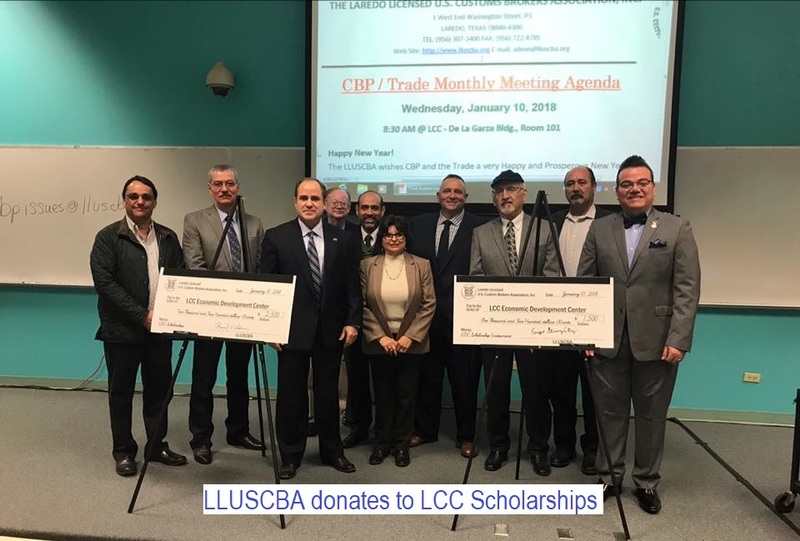 LCC and The Laredo Licensed US Customs Brokers Association partnered to foster student success with a scholarship donation to support career pathways in trade, transportation, logistics, and cyber security. A check for $1,500 was presented to increase an endowment established 15 years ago to a balance of almost $25,000. Another check for $2,500 possible by the generous donation of one of our members who wished to remain anonymous was presented. Annual Permit Fee Reminder: 2018 annual user fee of $141.70, which is assessed for each permit held by broker, whether it may be an individual, partnership, association, or corporation is due by close of business January 26, 2018. The annual permit user fee and annual national permit fee for calendar year 2018 is $141.70. See Federal Register Notice 2017-25435. The payment is due for each permit held. 1 district permit and a national permit would necessarily require payment of $283.40. Four district permits and a national permit would necessarily require payment of $708.50 in calendar year 2018. Payment is presented where the local permit was issued. For permits issued in Laredo, TX please take payment to cashier's office at World Trade Bridge. Additional Customs user fees can be found in the Federal Register notice. On December 20th, LLUSCBA held its first Board & Committees meeting at our new office located in the LCC Campus next door to De la Garza Bldg., it also marked the last meeting for the current administration under President Enrique Gonzalez whose term expires on Dec 31st. Thanks Henry for all the work you did for the Association these last 2 years!